Human powered aircraft design is a caricature of the classic structural efficiency (thick, short wing) versus aerodynamic efficiency (thin, long wing) tradeoff. The `sport’ is going through a renaissance in the UK, with the advent of the Royal Aeronautical Society’s Icarus Cup, and the authors have been involved with the design of SUHPA (Southampton University Human Powered Aircraft). Here we will follow a basic planform optimization (see Chapter 8) and demonstrate the use of two aerofoil parameterization strategies from chapters 3 and 7 to optimize a wing for SUHPA for a steady, level flight speed of 12.5 m/s (world record speed) and a wing loading of 75 N/m^2 (based on previous aircraft data). The fluid dynamics analysis is be based on XFOIL, with which we have already showed how analyse parametric aerofoils in Chapter 11. This should yield a drag of 20.4 N and plot the airfoils and pressure profiles, as shown below. 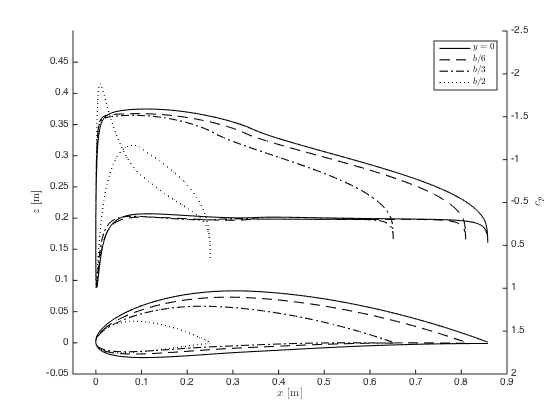 Of course the wing parameters and constants may be changed to your own design scenario. 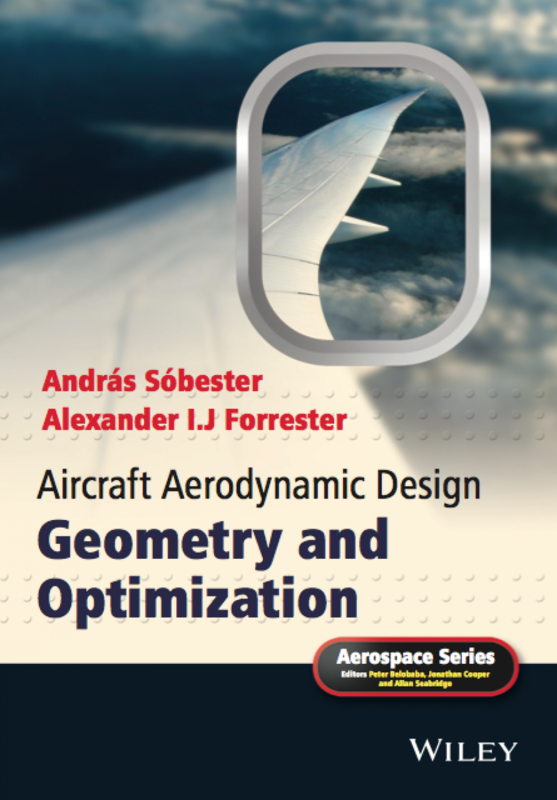 The book chapter details the use of various aerofoil parameterization methods and using the Matlab optimizers to design improved wings.